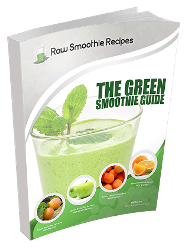 RawSmoothieRecipes.com is an affiliate for various online merchants, and commissions are earned on products that are purchased through links on this website. When it comes to buying products or services when using the internet, it is recommended that you should always conduct your own investigations. This includes buying any products or services sold from this website and all other websites. In order to protect you, should the claims be unfounded, most products are typically provided with some form of guarantee or warranty by these reputable third parties. Our aim is to be 100% honest at all times. If however you find something displayed on this site, which you do not agree with, then please contact us immediately and we will look into it. We reserve the right to withdraw the display of any product or service that does not reach our very high levels of satisfaction without any prior notice. Honesty and integrity is very important to us and we strive to uphold these standards througout.